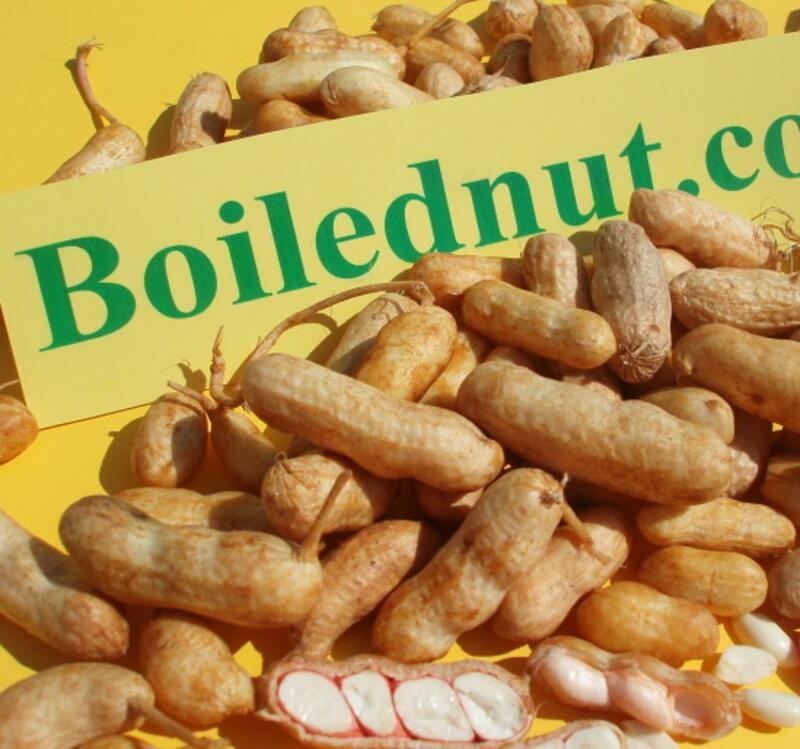 If someone is searching for 'green' peanuts more than likely the reason is because they belong to a relatively exclusive club of people who are very descriminating when it comes to their particular taste for boiled peanuts. Boiling green peanuts instead of dried peanuts will result in a unique flavor that once tasted, the more common and easily found dried boiled peanuts will often no longer be quite as satisfying. The problem is they are difficult to come by as green peanuts are very perishable. Once harvested there is only a brief period they can be stored even if refrigerated. Also,you must get them in season which in the south is usually summer to around late October as a rule. This being the case the green peanuts are sold rather quickly or dried to prevent loss. Green peanuts is a term simply meaning the peanuts have just been harvested and nothing has been done to them. They are not green in color but actually white as in this photograph. shipped USPS priority mail this coming Monday. One USPS medium flat rate box full of fresh off the ground green Valencia peanuts. Fun in a boiled peanut concession cart. Greens will be available around mid-summer thru late fall.